AUSTINTOWN – Funeral services will be held at 11 a.m. on Wednesday, Oct. 7, at the Lane Family Funeral Homes, Austintown Chapel, for Diana L. Barone, 49, who died early Friday morning at Hospice House in Poland. Diana was born Oct. 13, 1965, in Warren, a daughter of Ronald D. and Carole Thompson Lane. She graduated from Jackson Milton High School and Mahoning County Career and Technical Center in 1984. She had worked as a telemarketer for Infocision for the past four years. 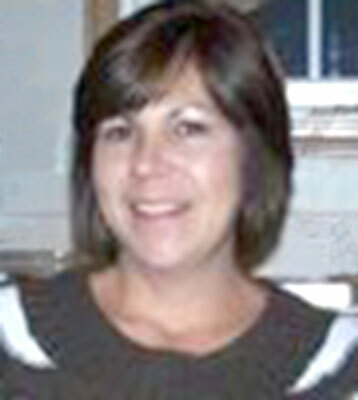 Previously Diana had worked as a Home Health Aid for Community Care Givers. Diana had also been a caregiver for her mother. She attended the Churchill Methodist Church and enjoyed shopping and decorating. She leaves her mother, Carole Lane of Austintown; two sons, Anthony and his wife, Brittany, of Boardman and Alec Barone of Austintown; one granddaughter, Lillian Rose; her former husband and father of her children, Kevin Barone of Austintown; and her beloved dog, Buddy. Diana was preceded in death by her father, Ronald D. Lane, and her brother, Ronnie. Friends may call on Tuesday from 5 to 8 p.m. at the Lane Family Funeral Homes, Austintown Chapel and on Wednesday for one hour prior to the service at the funeral home. Please share your memories of Diana Lynn.